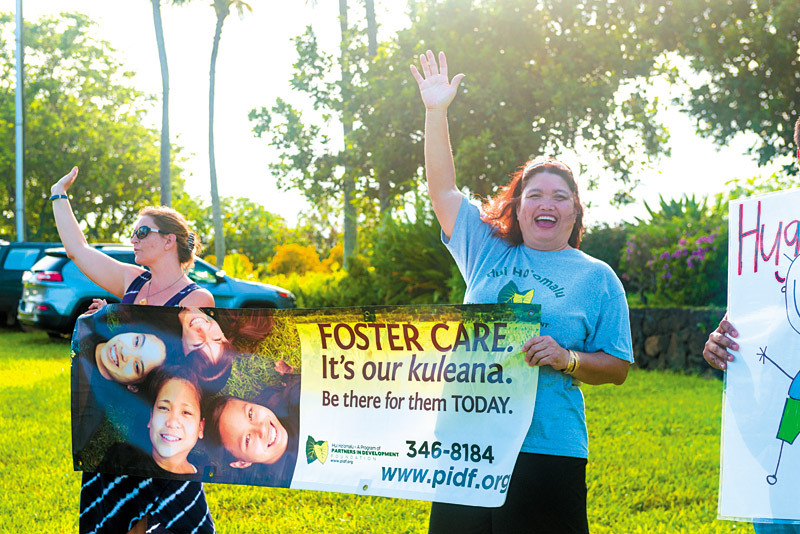 Fostering Connections - Hale ‘Ōpio Kaua‘i Inc.
Lisa Cook and Monica Ka‘auwai wave at drivers to raise awareness for Hui Ho‘omalu. Jeffrey Venzon was one of a handful of people gathered at the intersection of Ahukini Road and Kapule Highway in support of Hui Ho‘omalu last month. Volunteers were holding signs and waving at drivers to help raise awareness for the program, which is currently in need of more resource care-givers (formerly known as foster parents). Venzon was a resource caregiver for many years, and he still supports and believes in the group’s mission to assist keiki. “You need a lot of patience — understanding that they went through a lot already,” says Venzon, who opened his home to teenagers and a 5-year-old boy. Venzon initially started as a foster parent through the Child Welfare System before joining Hui Ho‘omalu. Taking care of other people’s children who are coming from troubled situations isn’t easy, but the act is an honorable undertaking, he adds. The act is rewarding unto itself, but it also instills positive attributes like compassion. He chose to help keiki from broken homes because he was also serving as a coach at the time and wanted to get them involved in community activities. He fondly remembers helping one child join the Pop Warner football league. Click here to continue reading at the Midweek website.